A vocal warm-up app for everyone - from amateur singers to professionals! 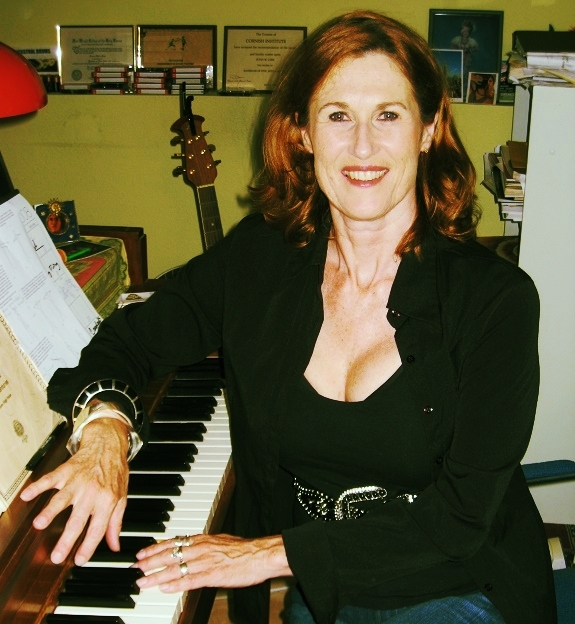 Susan M. Carr is a renowned vocal coach with 30 years of experience helping singers to develop their talent. Susan works with students to build their power, range, tone, and endurance - and develop their unique and personal voice. She has worked with students at all levels, from beginners to seasoned professionals, and all styles, from metal to musical theater. Many agents, producers, and artists have sought Susan's expertise, including Alice In Chains, Mastadon, Sunny Day Real Estate, The Head & the Heart, and Macklemore. Susan is also an accomplished singer, actress, and author. Learn more about Susan Carr at: www.susanmcarr.com. Wolf Carr has been teaching and performing in the Pacific Northwest for more than 15 years. He graduated from Berklee College of Music in Boston, where he studied vocal pedagogy and composition, and his principle instrument was voice. He has taught members of many local and national acts, including: Sleater Kinney, Modest Mouse, The Fleet Foxes, Grizzly Bear, Yob and many more. Learn more about Wolf Carr at: www.wolfcarrvocalstudio.com. get in touch, we love feedback!